Time had past since Ariella and Callan had spoken of the royal controversy, two months in fact. It seemed to dissipate just as fast as it had surfaced. Life went back to normal, or so it seemed. It was a Sunday morning, springtime. The sun was shining and the birds were chirping, it was beautiful. Ariella awoke in Callan&apos;s arms, as she had every day since they had made a mense with each other. It was warm and comforting, it was her safe place. "Hmm." Cal muttered, just waking up and stretching his arms, "Are you awake, my darling?" Ariella smiled softly, looking up to meet his eyes. She thought of how wonderful their life had been as a married couple. Of course they had their tifs, but that was to be expected. They governed their kingdom with wholehearted confidence and love, love as they loved each other. She had nearly forgotten about the controversy over the past few months, but ever so often it creeped back into her innermost thoughts, just at the back of her mind so it would make her subconsciously aware of it. Her smile faded as she glanced around her at the beautiful life she lived. Her wonderful husband, their glorious bed chamber and the bright sun shining through the windows. She couldn&apos;t imagine a life without it now that she had experienced such a beautiful thing. Callan rubbed her arm soothingly. "I suppose we should start our day, mon amour." He reluctantly sat up from the bed, shivers running down his bare chest as the blankets fell off of him. He surveyed the room as he always did when he woke up, looking for any discrepancies in his newfound normal. There was nothing amiss, as per usual. "Oh, my lord, do you have to take me from my bliss." Ariella sighed, sitting up and stretching her arms. Callan chuckled as he got up from the bed, "We do have a kingdom to run." He walked into the dressing chamber and called for his groomsman, who subsequently walked in from the parlor. Ariella heard their muffled conversation about the weather and let herself fall back down to her pillow, grinning. Mae then rang to her from the newly installed bell beside the bed, calling her to ready for the day. Ariella&apos;s grin immediately faded as she lifted her feet to the floor and stood up. She grabbed her robe which hung on the bed post and wrapped it around her body, not even bothering to put it on entirely. She kissed Cal goodbye and walked through the corridor that connected their two rooms where she found Mae shuffling about. "Oh, Madame, we must hurry," she said in a huff, "Your meeting with the ladies of the court begins in an hour." Ariella sighed, and walked into her dressing chamber. As Callan was off on business for the day, Ariella had the day almost entirely to herself, other than the meeting that Mae had informed her of. She had almost entirely forgotten. She walked into the west parlor, opening the doors with a grand entrance. The ladies of the court looked up form their tea cups and stood from their seats to curtsy. "My Queen." They acknowledged as she passed them. She walked to her seat before the window, and nodded to dismiss them from their curtsies. They all sat down simultaneously. Ariella took her tea from the servant beside her and took her time as she stirred it, watching the ladies as they waited for her to address them. She wasn&apos;t one for courtly gatherings. "So," she began after a moment, "I believe you all have heard about the engagement of my sister in law, the Princess Katerina to the Prince Henrik of Marteier." A chatter arose from the ladies. "I am to appoint her new ladies to accompany her to Marteier, where she will be living with her new husband." A silence fell across the room. Marteier was a kingdom at war, unsafe for ladies. Now that the season had ended, the ladies chosen to attend the princess would have almost no way to find a match. Ariella sighed, realizing her unfortunate duty. "I understand that this will be a difficult time in Marteier, but I assure you all that any one of my ladies chosen will have the upmost honor when they return. I suppose now would be the perfect time to announce that I will be holding a debutante season for all of the ladies of the court in the coastal town of Creste, just on the border between Frencia and Marteier next year." A excited chatter arose from the group once more, the ladies smiling and giggling, some even clapping. Ariella smiled, thanking God that the dreaded meeting would end soon. She sipped her tea happily. "Your Majesty." Acknowledged a young Lady as she curtsied deeply before Ariella, awaking her from her own thoughts. "The young Duchess of Hale, it is lovely to make your acquaintance." The lady smiled shyly, "And you, my queen, it is an honor. I was hoping that I could speak plainly." "Granted, your Grace." Ariella nodded curiously, wondering what she had to say. 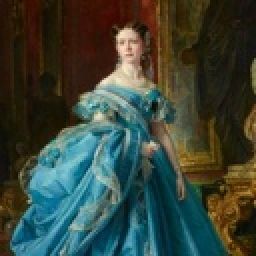 The Duchess of Hale had recently married the Duke, one of the most eligible bachelors in Frencia. She was only but nineteen or twenty, around Ariella&apos;s same age. She had a handsome face with dark auburn hair and dark eyes. She had a slim figure adorned with a lovely gold gown, the color complementing her kind aura. "I simply wished to thank your Majesty, for next year&apos;s season will benefit my family tremendously. I have six younger sisters in want of a suitable match." Ariella smiled softly, "Your thanks are well received. The King and I do all that we can to better our nobility. I look forward to meeting your sisters, hopefully they are just as likable as you." "The highest compliment one could receive, I thank you, your Grace, once again," the Duchess said, curtsying in departure. "Duchess," Ariella murmured, looking over the girl, "Perhaps you would join me for a stroll in the gardens this afternoon, I should like to better our acquaintance." The lady smiled brightly, "Oh, what an honor!" "Let us meet by the gazebo at noon," Ariella said lightly, motioning the Duchess to come closer, "Forget your chaperone, I have something of the upmost importance to discuss with you." Noon eventually arrived, after a few hours of studying in the library. Ariella made up an excuse for her ladies to stay behind from the stroll. She hastened her pace towards the gazebo where she spotted the Duchess sitting quietly. "Your Majesty!" The lady exclaimed, standing up and curtsying. Ariella hurried up the steps of the gazebo and hooked her arm through the nook of the Duchess&apos;. "Greetings, your Grace," acknowledged Ariella as she led the girl to the path through the garden, "I had no intention of frightening you earlier with my secretive manner." "Oh, not at all, my Queen." "You see, I have a royal duty that I&apos;d like you to attend to." 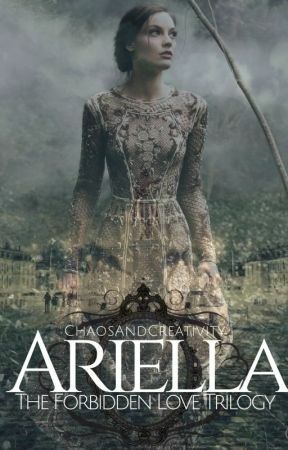 The girl looked behind them to see if anyone was following and then looked back to Ariella. "Alright." "Let us start by reintroducing ourselves. I am Ariella."